Although the cost of LED lighting has dropped over the last few years, it can still prove to be a costly investment. With lease requirements, location closings and lack of capital expense funding, an LED retrofit may not be a practical option for your facilities. The good news is that you can still reduce energy and maintenance costs without incurring the expense of retrofitting to LED lighting. 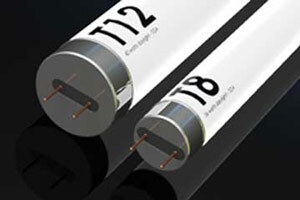 Let’s begin by discussing the option of retrofitting T12 lamps to T8 fluorescent lamps. If you haven’t completed this retrofit yet, it is a great way to reduce both energy consumption and maintenance costs. 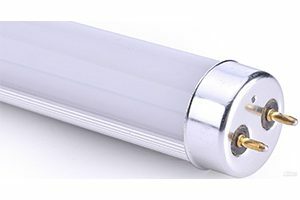 As most of us are aware, governmental regulations have made the T12 fluorescent lamp obsolete, and they are no longer being manufactured. This change will likely lead to increased replacement with the more efficient T8 linear fluorescent tubes. While this option will, in fact, deliver savings, it does not come without challenges as the ballast used for T-12 lamps are not compatible with the T8 tubes so the ballast must also be replaced in this process. Since both the ballast and the lamps are being replaced, the time and money spent maintaining the fixture will decrease significantly over the next 3 to 4 years. As far as energy savings are concerned, by replacing a T12 four lamp fixture with a like T8 28- watt version you can anticipate an energy reduction of over 40%. Compare that to the more than 50% savings from the 25-watt T8 lamp and the numbers speak for themselves. The 28-watt version has comparable lumen output to the T12 and the 25-watt lamp’s lumen reduction is minimal. This is a relatively low-cost retrofit with incentive rebate funds available to offset your investment. Once completed, lamp and ballast replacement can be handled under warranty for premature failures, further reducing maintenance costs and concerns. If you already have T8 lamps installed at your locations and still find yourself replacing lamps and ballasts as needed, you may want to consider group re-lamping. Group re-lamping is a process in which every lamp at your locations is replaced simultaneously to assure adequate lighting and reduce maintenance costs. By replacing existing lamps with a lower wattage option, you can increase energy savings while still maintaining adequate light levels. Because most fluorescent lamps have a rated life of more than 29,000 hours, these lamps can last up to 4 years without having to be replaced. Relamping every 4 years gives you the ability to anticipate and budget accordingly. Since all lamps are being replaced at once, you can set the install date with the manufacturer to insure warranty term, allowing you to replace lamps under warranty and reduce material costs for failed lamps. If you are replacing incandescent lighting, compact fluorescent lamps are still a viable and cost-effective option. Compact fluorescent lamps are available to replace most incandescent lamp applications and have long lamp rated life. You can source them in warm white and cool white color. Achieving energy reduction of up to 75% can make this a very appealing and cost-effective replacement option. It’s no secret that the best way to save energy when it comes to lighting is to simply turn them off when not in use. For this reason, there is a wide range of lighting control options available to meet all of your interior and exterior needs. Motion sensors are the most basic lighting control option available. They can replace a light switch or be mounted in a variety of locations, including offices, bathrooms, stock rooms and other areas where lighting is only needed when someone is in the area. Motion sensors are extremely cost-effective and many electric companies offer attractive incentive rebates for their installation and operation. Another popular lighting control option is daylighting. Daylighting takes advantage of natural light during the daytime hours to illuminate interior spaces. This system allows electric lighting to be entirely or partially turned off during this time. Daylighting works best in facilities with existing skylights or large window applications. These systems are often more expensive than basic controls, but can be integrated into remodels or new builds. When it comes to exterior lighting controls, photocells and time clocks are among the most basic and most popular options on the market. These options allow you to set on and off times for exterior fixtures, reducing costly maintenance calls and increasing energy savings. While LED retrofits may be the most prevalent method to improve energy efficiencies, the costs associated with LED may not make that a viable option. The solutions outlined within this article are just a few of many ways you can create efficiency within your lighting system. In order to maximize your energy savings and reduce your maintenance costs, we suggest consulting with a lighting services company. A company with lighting expertise can perform a location survey and lighting audit to best identify what solutions would best align with your goals and budgets. Published in RETAIL & RESTAURANT FACILITY BUSINESS – DECEMBER 2015 / JANUARY 2016 n © 2016 France Media, Inc.
To Mulch, or Not to Mulch…. That is the question.